It’s Sunday and in South America we are having warm and sunny days. 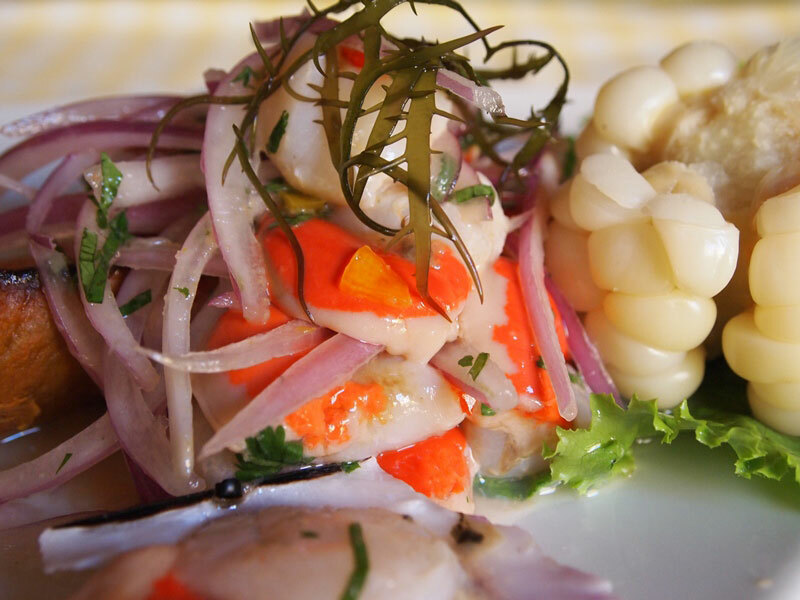 It’s the perfect moment for this refreshing and light cebiche that should be made with the freshest scallops you can find in the market. Do not even think of trying it with frozen ones. We use the scallops with their colorful roe because it’s delicious and looks beautiful but you can discard it if you don’t feel like having it. Doctors say this roe is rich in dangerous cholesterol so maybe it’s a good idea to avoid it. 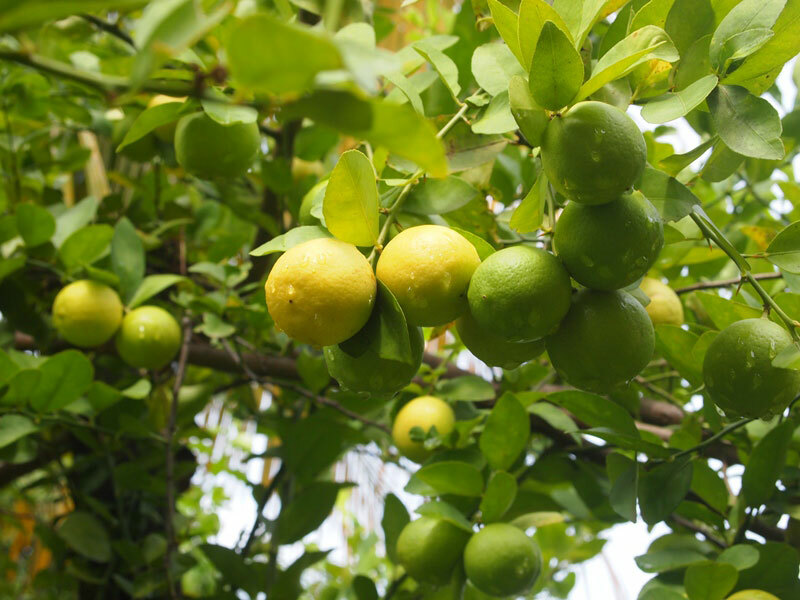 Our lemons (limes) are originally from Asia but this crop came to Peru via the Spanish colonizers, and adapted itself to the soil and climate of Northern Peru. 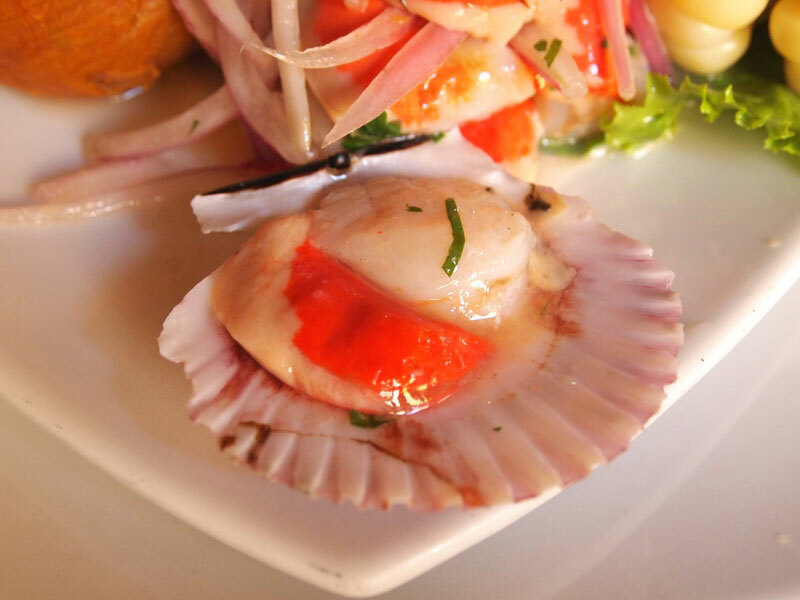 Our variety -called limón sutil– is smaller than others and has an intense acidity, perfect to marinate the raw fish or scallops used to make cebiche. To get the best of its juice, it should be squeezed with a gentle hand, just enough to get the juice out without the bitter oil from the skin. 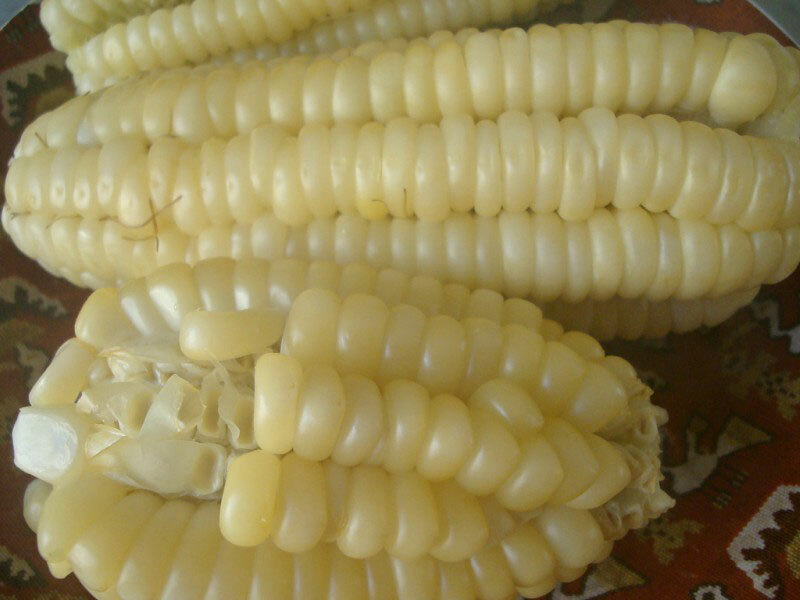 Peruvian corn is not sweet like other varieties. To cook it, put corn in a saucepan with water to cover. Add 1 tablespoon sugar and ½ teaspoon aniseed, but this step is entirely up to you. Bring to a boil and simmer until tender. You may add a few drops of lime juice to keep the kernels white. 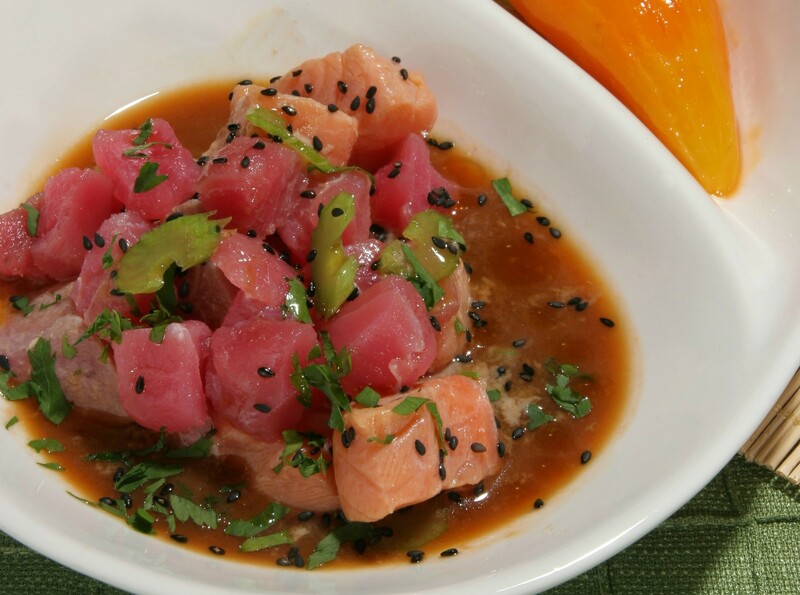 Top the scallops with seaweed -we call it yuyos– and serve immediately. 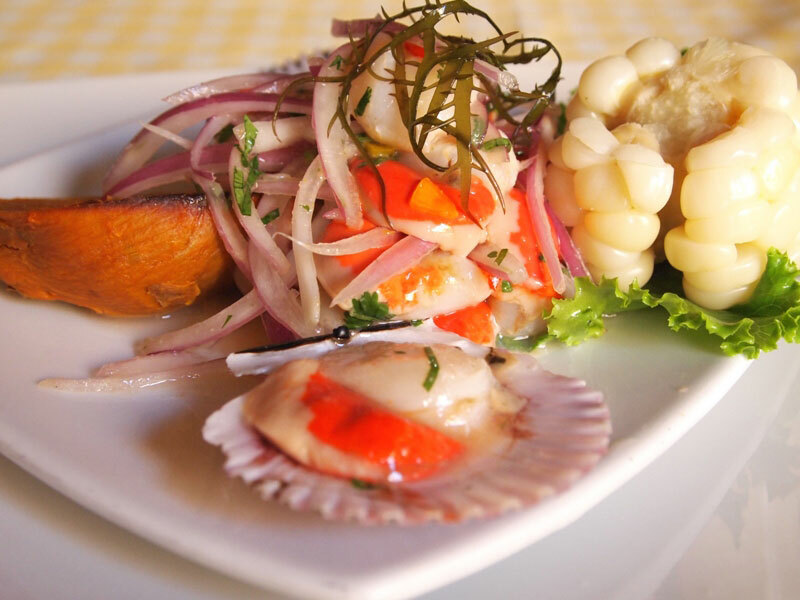 Combine the scallops, onion, ají limo, and parsley, in a bowl. Add garlic, salt, and pepper and stir well. Add lime juice and olive oil. Let rest for 5 minutes. Serve in glasses lined with a lettuce leaf, and with some corn kernels. 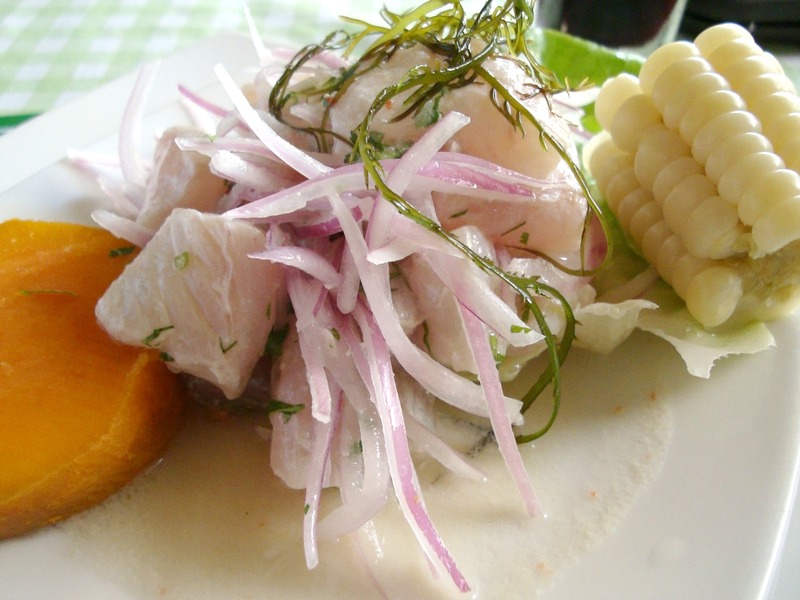 Primeramente, muchas gracias a Perú Delights por todas las recetas, consejos, sugerencias, historia de los platos y productos, fotos, etc…. Y por supuesto, la educación que brinda a todos. 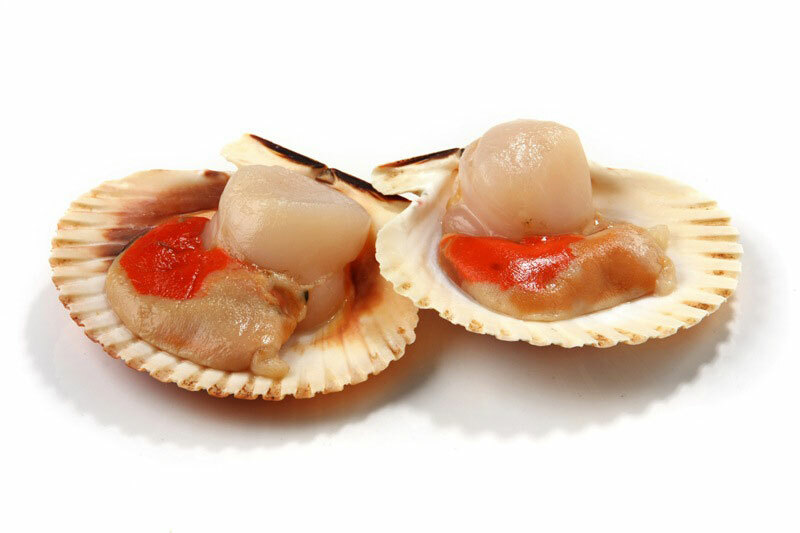 Mi muy respetuoso comentario respecto al Cebiche de Almejas o Scallops es muy simple: pienso que usar Cilantro en vez de Perejil o Parsley sería mucho mejor. Gracias por tus comentarios. 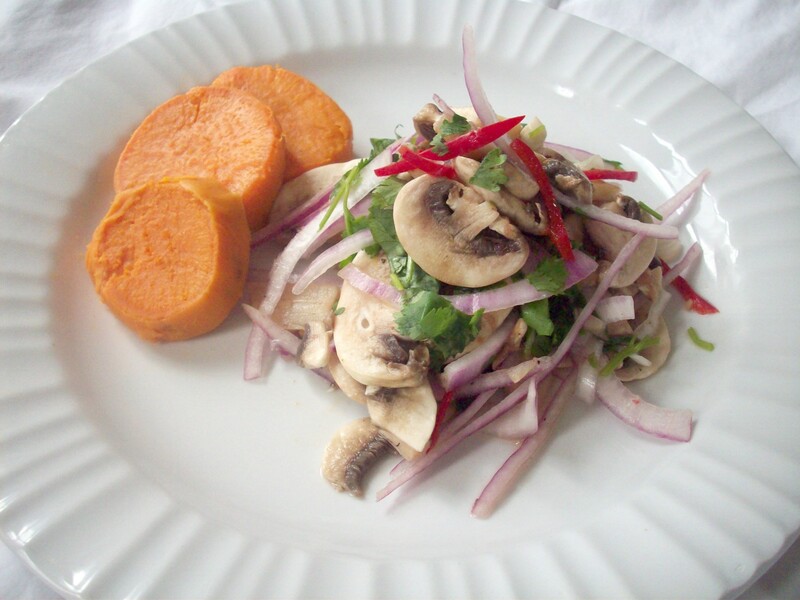 Puedes usar cilantro para ese sabor peruano tan especial, pero también el perejil le da un gusto delicioso.